Tim Deluxe, Hayden James, Calvin Harris, Alex Niggemann, alex kenji and more. This show was 44th in the global tech house chart, 50th in the global techno chart, 54th in the global deep house chart and 83rd in the global house chart. Ibiza Sound es mi Podcast oficial en el que os pienso deleitar con 60 minutos de la mejor Música House, Tech-House y Techno. El programa consta de dos partes; los primeros 30 minutos os presentaré en un Top 5 los que para mi son los mejores lanzamientos del momento y posteriormente os sorprenderé con una sesión de 30 minutos con los mejores temas. 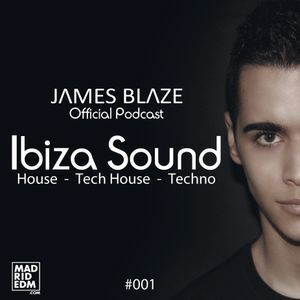 Sound Ibiza is my official Podcast with 60 minutes of the best Music House, Tech-House and Techno. The program consists of two parts; the first 30 minutes I will present in the Top 5 for me are the best releases of the moment and then will surprise you with a session of 30 minutes with the best songs.